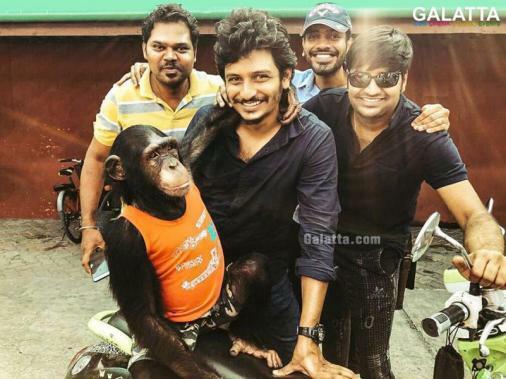 Announced towards the end of last year, actor Jiiva’s upcoming film titled Gorilla has had many fans quite excited. Meanwhile, People for the Ethical Treatment of Animals (PETA) has now sent a request to the Gorilla team to implement CGI instead of using a real life chimpanzee, around which the film’s plot is said to be primarily centered around. On the other hand, the Gorilla team has reportedly stated all portions involving the real chimpanzee have been completed after acquiring the necessary approval from the Governments of India and Thailand. Apparently, PETA had requested the makers to take the same approach as the makers of Hollywood blockbuster films, The Jungle Book and Planet of the Apes, in implementing the use of CGI by hiring CG experts to bring to life the animals. Said to be a heist thriller, Gorilla being directed by Don Sandy with Shalini Pandey as the female lead is expected to resume production soon owing to the Tamil Film Producers Council (TFPC) strike, which came to an end recently. 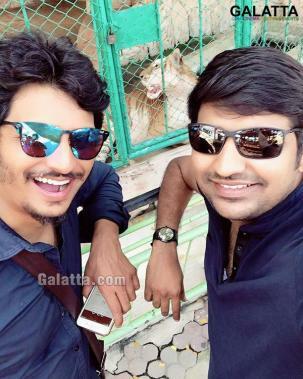 >>Suriya's Hit Singer For Jiiva In Gorilla!